Hey there! Thanks for dropping by The JB Mission! Take a look around and grab the RSS feed to stay updated. See you around! July 7, 2011, 2 days after Casey Anthony was acquitted, Tim Miller of Texas Equusearch put the word out to the public. Should he or should he not file a lawsuit against Casey Anthony or her attorney Jose Baez? He claims he spent over $100,000 searching for Casey’s 2 ½ year old daughter, Caylee Marie. Perhaps he’s claiming this because Casey Anthony or Jose Baez asked for his help. Where are the records of this phone call? Where is the documentation, a letter, an email? I’ve searched the documents released and haven’t found one correspondence between Casey Anthony and Tim Miller. Did Jose Baez contact him? He hasn’t mentioned a call or an email on this matter. The only thing that Jose Baez asked Tim Miller was for access to TES records to see which searchers searched where. This information was very important to Jose Baez because the remains of the victim were found in an area where Tim Miller searched. Even if it wasn’t the exact location, her remains were in very close proximity to where his searchers had looked but Tim Miller quickly lawyered up and those records remained sealed for over a year and are partially sealed today. Baez was only allowed to view the records. For whatever reason, we, the public may never know just how close Tim and his searchers were to Area A, the location where Caylee’s remains were officially found on December 11, 2008. Tim Miller, founder of a non-profit organization Texas EquuSearch was deterred by high water while searching this area of Suburban Drive as he searched in early August of 2008, a week or so later, he left Orlando after losing a 4 wheeler while attempting to search the Wooded Area which is 14 houses away from the suspect. He didn’t return until August 30th when he set up base at a local Holiday Inn. Thanks to the Sunshine Laws and Orlando local media, it’s public knowledge that it was Casey’s mother Cindy Anthony who called Tim Miller, asking for his help. And she wanted Tim Miller to look for a live missing Caylee, not a deceased toddler. Apparently Tim Miller paid no attention to Cindy nor to Casey’s farewell to him because he in all of his searches for Caylee, never searched for a live missing child. After the shocking verdict was read on July 5, 2011, while on CNN, Tim Miller addressed the public. He was seeking public approval because he knew the staunch opinators would not be pleased with anyone who profitted off of Caylee Anthony’s death. So he took it to a vote. Should he sue Casey Anthony? His address was posted publicly for all who wanted to help Tim Miller decide. On July 12, 2011, Only days before her release from jail, Casey Anthony got the news. Tim Miller had filed a civil lawsuit against her for $112,000, the cost for his search team. Tim Miller claims it was Casey’s lies that cost him this money. This was the typical mantra for Casey at the time and more importantly, those words did not change Tim Miller’s type of search. When he came back a couple of weeks later, he continued searching for a body and not a live child. That’s why he took on board, 4,000 searchers, to search for remains. During this time frame there was Tropical Storm Fay threatening Florida, entering the Gulf of Mexico. August 19, TS Fay was in EVERGLADES CITY, Florida. Casey Anthony’s attorney had this to say about Tim Miller. The above mentioned matter has been recently resolved and Judge Munyon has decided Casey will answer two questions from a list of 15. • Admit that you did not observe or hear George Anthony call 911 at any time to report that he or you had discovered that Caylee Marie Anthony had drowned in the swimming poll at your parents’ house on or about June 16, 2008. • Admit that you were aware in September 2008 and October 2008 that EquuSearch was conducting searches for your daughter, Caylee. Subsequently, Casey Anthony has denied both statements. Hopefully this will compel Tim Miller to follow through with his promise and answer questions posed to him by Anthony’s attorney Charles Greene. As for $112,000, remember, Texas Equusearch acted as an agent of the State or Florida during the course of its business in Florida, receiving payment, equipment, support, and directions from Florida law enforcement agencies. There was also a time when Tim Miller was being considered as a material witness for the defense. On August 5, 2008, a Fox News crew filmed a search of The Wooded Area. The video shows no body or suspicious objects, and cameramen reported no suspicious odor. available at http://www.youtube.com/watch?v=_gNJdZrgg. This video can no longer be found. On August 11th, 12th and 13th,2008, Orange County law enforcement responded to calls from Roy Kronk, a county employee who claimed to have seen a suspicious bag in the Wooded Area. An Orange County Deputy Sheriff searched the spot and found nothing suspicious. On August 18, 2008, an Orange County Deputy Sheriff responded to a call from one Keith Williams, who claimed to have found possible evidence in the Wooded Area. No body or remains were found. On August 30, 2008, Texas EquuSearch (“TES”), a Texas 501© (3) corporation, arrived in Orlando from its headquarters in Dickinson, TX, to search for the missing child. TES set up its base of operations at the Holiday Inn at 5750 T.G. Blvd, Orlando,FL. Personnel from the Orange County Sheriff’s Office Criminal Investigation Division (“CID”) were present at the command center. On August 31, 2008, TES and OCSO began their search for the missing child Caylee Marie Anthony. The Orange County Sheriff’s Office Critical Incident Management Team (“CIMT”) evaluated the organization of the TES search effort and supplied the searchers with bottled water. Id. Cmdr Matthew Irwin, Sgt John Allen, and Det. Cpl. Yuri Melich represented CID. Id at 7. On September 1, 2008, TES and law enforcement continued their search of “areas of interest” provided by OCSO. Id at 3. Sgt. Allen and Det. Melich represent CID. Id at 7. On September 2, 2008, TES and law enforcement continued their search. CIMT set up a tent at TES’s command center. Id at 3. Cmdr. Irwin, Sgt. Allen, and Det. Melich represented CID. Id at 7. On September 3, 2008, then-Orange County Sheriff Kevin Beary provided TES with $5,000 of OCSO funds. See Appendix F. TES and law enforcement continued their search. See Appendix E at 3. Cmdr. Irwin, Sgt. Allen, and Det. Melich represented CID. Id at 7. Also on this date, Miss Anthony was released from custody following her August 29 arrest on economic charges. On September 4, 2008, TES and law enforcement continued their search. Cmdr. Irwin, Sgt. Allen, Det. Melich, and Tanya DePalmo represented CID; a large team of CIMT and Agriculture personnel also participated in the joint search. Id at 7. On September 5, 2008, TES and OCSO personnel continued their search. Id at3. Sgt. Allen and Det. Yurich represented CID. Id at 7. On September 6, 2008, TES and OCSO personnel continued their search. Id at 3. Chief Ron Stucker, Det. Melich, and Investigator Kari Roderick represented CID. Id at 7.
http://www.orlandosentinel.com/com/community/news/wintergarden/orl-caylee0808sep08,0,311925.story. No remains were found. In October of 2008, a former TES team leader informed Orange County Sergeant John Allen that, while searching with TES in September, she had searched the area where Caylee Anthony’s remains were ultimately found. See Appendix B at 2:25. On October 14, 2008, Miss Anthony was indicted in the present case and taken into custody. On November 8, 2008, TES began a new search. Orange County law Enforcement loaned TES a helicopter to use in the search. 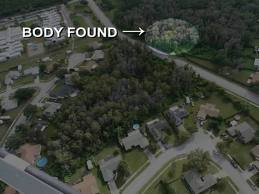 Updates from Search for Caylee Marie, WESH-2 Orlando, available at http://www.wesh.com/news/17929243/detail.html TES searchers did not find Caylee Anthony. On November 15, 2008, one Dominic Casey, a private investigator under contract to Miss Anthony’s parents, George and Cynthia Anthony, conducted a search of the Wooded Area accompanied by James Hoover, another private investigator. See Appendix H at 12. On December 11, 2008, law enforcement responded to a call from Roy Kronk stating that he had discovered a human skull at the edge of the Wooded Area, just off of Suburban Drive. When law enforcement arrived on the scene, they found the skeletonized remains of a small child at the edge of the Wooded Area, just off of Suburban Drive. The State has since identified the remains as those of the child Caylee Marie Anthony. I don’t dislike Tim Miller. I think his initial intentions were honorable but instead of him being mad at himself for not finding Caylee, I’d rather know that he’s pondering this and realizing that maybe, just maybe, her remains were not in that area when he searched. As for the money, it couldn’t happen to a nicer guy if he’d only say it…. And then I’d say “Pay The Man! On August 7, 2008, Special Agent (SA) Tony Rodriguez of Florida Dept of Law Enforcement (FDLE) met with Cary Sellers Goode at her apartment in Mount Dora, FL regarding ACISS Lead #438 from OCSO investigation into the disappearance of Caylee Anthony. Goode’s interview reflects that in April or May of 2008 she was volunteering at the Florida Department of Children and Families (DCF) office located at 1300 SR 19, Tavares, FL. During this time DCF issued an advertisement regarding the acceptance of Section 8 housing applications. Shortly after, a woman with a Hispanic accent called DCF regarding the Section 8 housing add and also asked to register her granddaughter int the “Kid Care Program”. Goode believed that the woman on the phone stated her name was “Rodriguez”, however she could not be certain. Kid Care is a state funded program which provides medical insurance to children of low income families. The woman advised that her granddaughter’s name was Caylee Anthony. About one week later, Goode was in her office at DCF when a young lady and a female child walked into her office. The woman identified herself as Casey Anthony and her daughter as Caylee Anthony. Anthony wanted to register Caylee for services in the Kid Care Program. The information was obtained and input into the system for further processing. Goode positively identified both Casey and Caylee as the ones who came into her office in April or May of 2008 from the pictures SA Rodriquez provided. She said it was them and added, they seemed to be in a hurry. Goode further stated that in approximately the last week in June, she was at the Goodwill store located on SR 19 in Eustis when she again saw Caylee and Casey Anthony. At the time, Goode could not recall where she knew them from but was able to remember them from her office after the media reports of missing Caylee Anthony. Goode observed Casey and Caylee exit the Goodwill store get into what appeared to be an older white vehicle with a Hispanic driver (possibly large female). The vehicle had a blue and white tag similar to that of a NY tag. Caylee was wearing a white dress with a white bow tied in the front. Goode later saw the same vehicle and same people at the Save-a-Lot store located in the same shopping center in Eustis. Later on August 7, 2008, SA Rodriguez provided this information to Corporals William Edwards and Yuri Melich of OCSO who said they were currently following up with DCF investigators too. As a follow-up on August 11, 2008, SA Rodriguez did speak with Eustis Goodwill state manager- Kim Vasquez who said she was familiar with the Anthony case and that she had never seen either Casey or Caylee in her store at any time. Rodriguez also advised that the store does not have a surveillance system. On Monday, August 11, 2008, SA Rodriguez was informed by Carey Roderick (OSCO) that information obtained from Supervisor Tom Hammett (DCF) by Sgt. John Allen (OSCO) reflects that a thorough and comprehensive search of DCF records failed to identify and past or present contact with Casey or Caylee Anthony. If anyone with past experience at the office of Social Services will know that usually your first visit is to gather information needed to apply for the different State-provided programs. My question is; Did Ms. Goode actually input any information in the computer or did she just attempt to and discard it after finding out Casey didn’t have the proper documents such as birth certificates, social security cards, bank statements, etc, and told Casey to come back at a later date. She did say Casey seemed to be in hurry so I’m not convinced that the follow-up turned in by Sgt. Allen means in all certainty that Casey did not go to the DCF office. Also there was no mention whether there were surveillance cameras in the DCF office. Considering SA Rodriguez advised there were no surveillance cameras at the Goodwill store, why would Sgt. John Allen fail to mention this in his report? I’m sure there are several surveillance cameras in the DCF office. Happy Holidays to All from The JB Mission! Casey Anthony Indictments "A La Carte"
Casey Anthony and the "Conspiracy Factor"